School registration is closed for all grades except K Grade. Please reach out to us in April 2017 if you want to register for the 2017-2018 school year. First day of school will be Aug 21st 2016 from 10:00am - 12:00pm. You MUST submit your application in person and complete your online payment to complete registration at that time. Students will be given a test on the 1st day to assess their level in Quran Hifz, Islamic Studies and Quranic Arabic. A couple of notable changes for this year. 2) We are now offering course based curriculum where you MUST choose one, two or three subjects for your child(ren). Islamic Studies is mandatory. 4) You MUST arrive 5-10mins before your class starts and leave 5-10mins after your class ends. 5) Fees is $35 per course per month per student. Please see the Registration page for complete details. If you paid your fees before Aug 1 2016, you will be allowed to pick all 3 courses with no additional fees. 6) We have maximum capacity of 65 students only and registration will be on first-come-first-served basis. We do not have a waiting list. Registration forms for school year 2016-2017 are available at www.alimanislamicschool.org/registration. And your feedback is very important us can be provided via the online survey at: Al-Iman Islamic School Parent Survey. Please note there is no school at Notre Dame High School location this day. To help with the potluck, we would like you to bring a dish according to the first letter of your child’s last name. You are requested to bring enough food for your family plus two more people. For example, if your child's last name is Saleh - you need to bring a Meat dish. 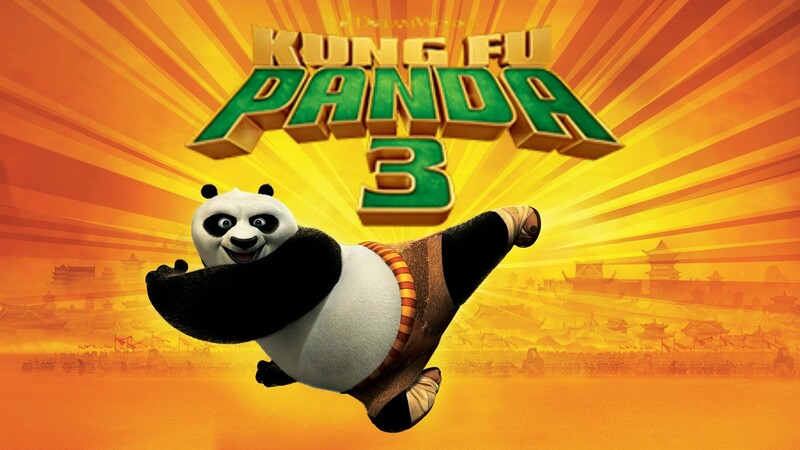 Grab a bucket of popcorn and join your Sunday School friends for a PANDASTIC MOVIE! We also have some cool gifts with your tickets! To purchase tickets, please fill out the attached form and submit to your class teacher along with check made payable to 'Al-Iman School' by FEBRUARY 8th, 2016. Al-Iman counts on you to ensure the continuous running of the school and providing your child with a proper educational facility where they meet other Muslim friends and together learn about Islam. Right now we have a MATCHING DONATION that canDOUBLE your donation amount to the school. Please consider donating beyond the price of the ticket. Even if you cannot make it to the movie, please consider donating for a matching contribution!Our school needs your participation and support! Last day of school this year is Sun Dec 20th 2015. There is no school on Dec 27 2015 and Jan 3 2016 due to Winter Break. First day of school next year is Jan 10th 2016. That is also the start of the spring semester. Please let us know if you need any help or have further questions. Thank you and Jazak Allahu Khair. We have openings in our school for upcoming Spring 2016 semester (Jan thru May 2016) for K through 8th grade classes. The registration will be open through Jan 10th 2016. Parents wishing to register their child(ren), can fill out the application form and submit it to us electronically or in person. The pdf forms are available for download at www.alimanislamicschool.org/registration. To encourage our students celebrate their Islamic heritage and family’s culture, we will be having a “Hallal-oween” and Potluck celebration this Sunday, Nov 1st 2015 from 11:50 am to 1:00 pm. DRESS: Students are requested to come dressed in a cultural clothes from their (or their parents') country of origin, e.g.. shalwar-kamis, gallabiyah, kebaya, yakhtak, hanfu, etc. Each class will display their research about the country/region that makes up our school’s diversity. FOOD: Parents should bring a native dish. Please either send it with your child in the morning or bring it in at 11:50 am. PARENTS: Parents are invited to come, celebrate with their children and meet everyone else! Students will be dismissed from class at their regular time (1:30 pm). Looking forward to seeing you this Sunday. Thank you and Jazak Allahu Khair. There is no school this coming Sunday, Oct 18 2015. The Notre Dame High School was unavailable unexpectedly due to a facilities issue. We'll make up this missed Sunday during the rest of the school year. Looking forward to see your child(ren) back on Sun Oct 25 2015. There is no school on Sunday Sep 06 2015 due to Labor Day weekend. We'll see all students the following Sunday, Sep 13 2015.